1 King Bed Nonsmoking. Free wifi, free local calls, hairdryer, coffeemaker, cable TV, microwave and mini fridge. The queen handicap features a comfortable Queen-sized bed with lots of pillows with walk/roll in shower. ADA compliant room, free breakfast, free high speed wireless internet, cable TV, hair dryer, mini fridge, microwave, coffeemaker, free local calls, and individually controlled air conditioning and heat. 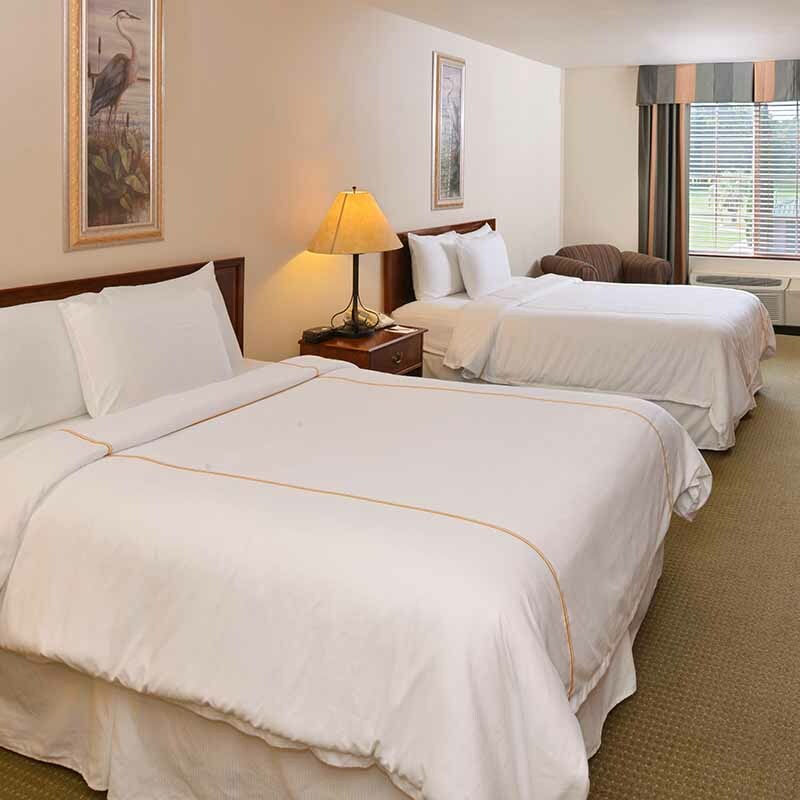 The king handicap features a comfortable king-sized bed with lots of pillows with walk/roll in shower. ADA compliant room, free breakfast, free high speed wireless internet, cable TV, hair dryer, mini fridge, microwave, coffeemaker, free local calls, and individually controlled air conditioning and heat. This spacious room features two queen-sized beds. This room was made with families in mind and offers the most sleeping space of all the rooms. 2 Queen Beds, nonsmoking, free breakfast, coffeemaker, free high speed wireless internet, cable TV, hair dryer, free local calls, and individually controlled air conditioning and heat. 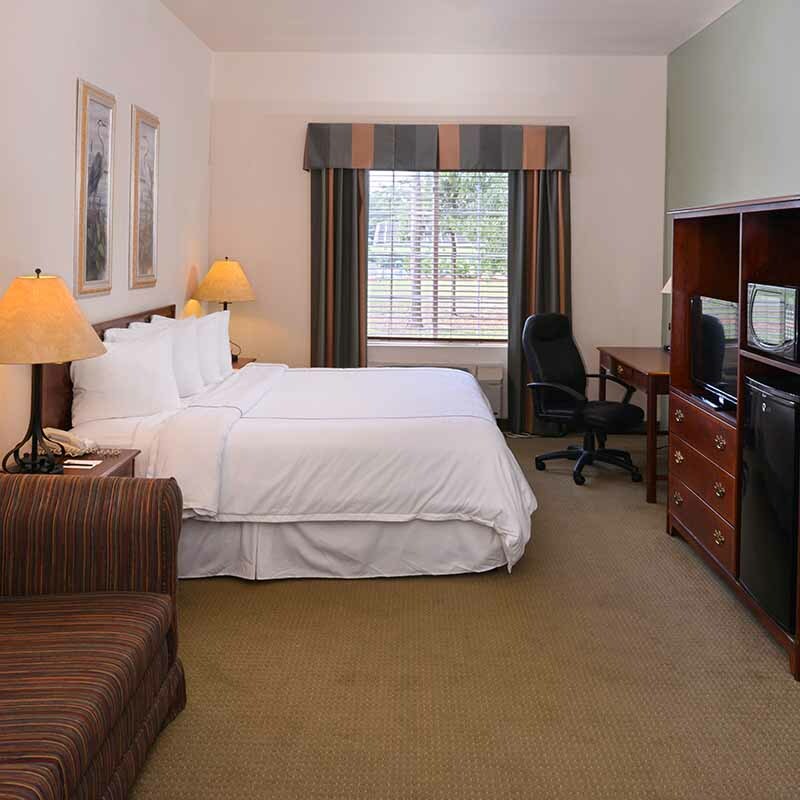 This spacious handicap accessible room features two queen-sized beds. This room was made with families in mind and offers the most sleeping space of all the rooms. 2 Queen Beds, nonsmoking, free breakfast, coffeemaker, free high speed wireless internet, cable TV, hair dryer, free local calls, and individually controlled air conditioning and heat. The king suite features a comfortable king-size bed with lots of pillows and a pull-out sofa sleeper. free breakfast, free high speed wireless internet, cable TV, hair dryer, mini fridge, microwave, coffeemaker, free local calls, and individually controlled air conditioning and heat. The king suite features a comfortable king-size bed with lots of pillows and a pull-out sofa sleeper, free breakfast, free high speed wireless internet, cable TV, hair dryer, mini fridge, microwave, coffeemaker, free local calls, and individually controlled air conditioning and heat. This enlarged room with cozy furniture allows you to feel at home no matter how far away you may be. The suite features a comfortable California King-sized bed with lots of pillows, free breakfast, coffeemaker, free high speed wireless internet, cable TV, hair dryer, free local calls, and individually controlled air conditioning and heat.